This adorable, soft and cuddly minky fabric has a textured, bunny-soft surface. Features a chic textured embossed design. It is perfect for creating blankets, baby accessories, plush toys, quilt backings and more. 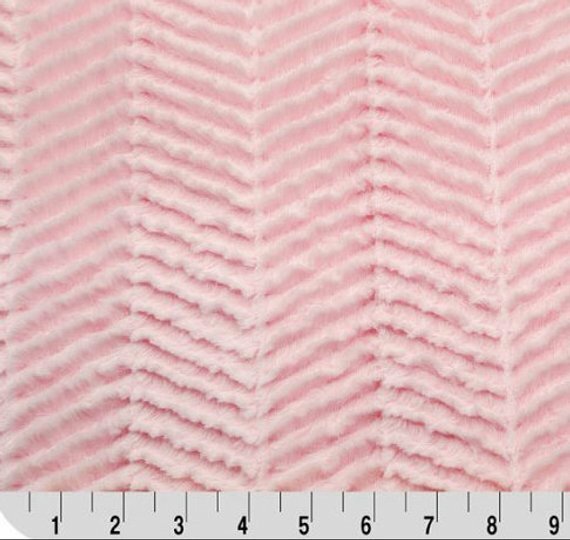 This listing is for Minky Luxe Cuddle Ziggy in Baby PinkFrom Shannon Fabrics.10mm Pile.